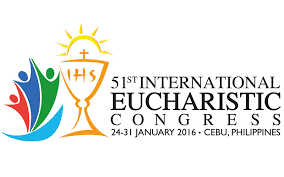 The 51st International Eucharistic Congress in Cebu City, Philippines. January 24 - 31, 2016. Live updates of the biggest event in the country. Organizers are expecting that it could reach a million people to attend the mass which will be held in South Road Property (SRP) this Sunday.